An attorney for the Colorado family who sued on behalf of their autistic son, called it “a game-changer.” The ruling has the potential to alter educational services provided to millions of children around the country, and the costs of those services to the many more millions of taxpayers who fund them. The standards for that education though were different depending on where a student lived. Some federal courts required a more meaningful education, but the majority said the acceptable measure of educational benefit was “merely more than de minimis” — in other words, just a little bit. An attorney representing the Douglas County school district could not be immediately reached for comment. During oral arguments in January, the school district’s lawyer, Neal Katyal, maintained that a new standard wasn’t needed, primarily because the current one, derived from a 1982 Supreme Court case, had “some bite.” He said procedural processes and reviews laid out in IDEA were sufficient to further guarantee an appropriate education for students. Justices at oral arguments had seemed open to setting a new, higher standard, but were puzzled over what it should be. Several also expressed concern about increased litigation and mounting costs to school districts, making the unanimous ruling somewhat surprising. 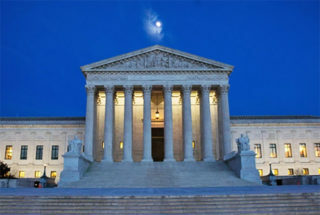 While not setting a specific higher standard, justices emphasized that what “appropriate” progress means will look different from case to case, and lower court judges shouldn’t take that lack of a “bright-line rule” as an invitation to substitute their ideas on educational policy for school authorities’. In 2008, for example, Gorsuch found a school district provided a free and appropriate education to a student with autism who had made little educational progress. IDEA, he wrote, only requires districts to provide educational benefits that “must merely be ‘more than de minimis” — a contradiction to Wednesday’s Supreme Court ruling.